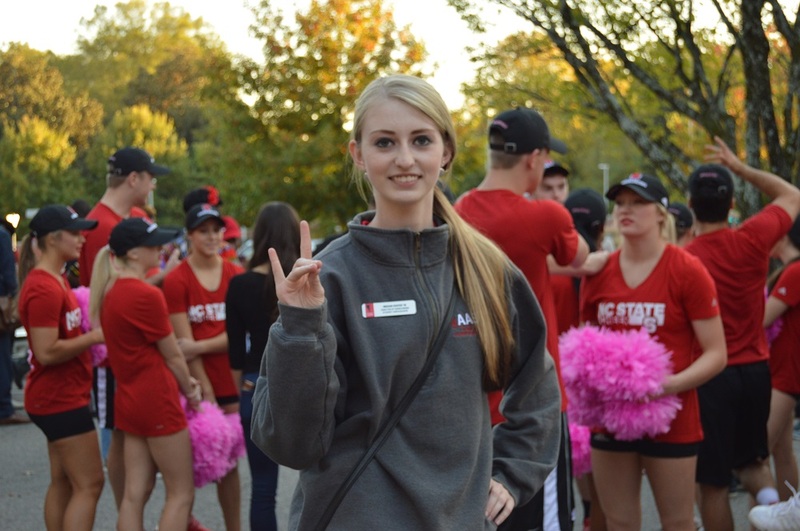 Red and White Week is one of NC State’s largest annual events celebrating the Wolfpack. 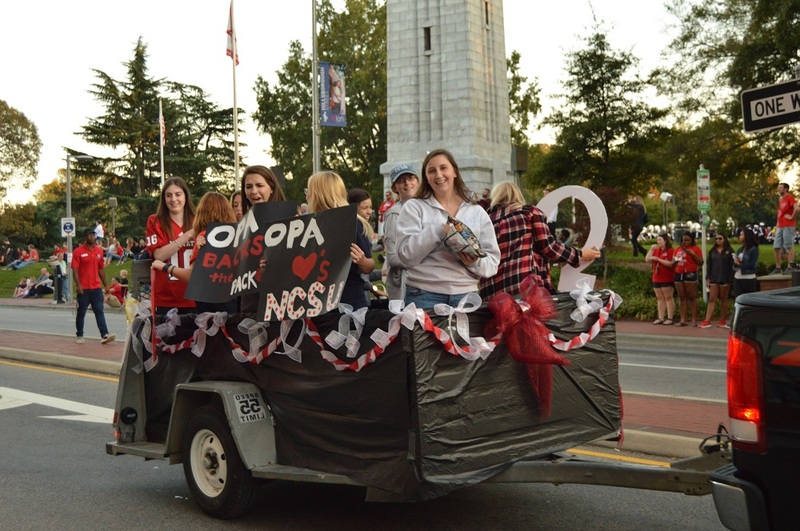 This year, Red and White Week is October 29 through November 4 and is jam-packed with plenty of exciting events, including the annual Homecoming Parade on Friday, November 3 at 6:00 p.m. Live It Up! Hillsborough Street is a proud sponsor of the parade. The parade will feature over 50 floats, including campus clubs, student organizations, and the NC State marching band. Come cheer on the Leaders of the Pack finalists, head football coach Dave Doeren, and other current and former NC State dignitaries as the football team preps for the biggest game in the program’s recent history against Clemson. The parade will start Friday at 6:00 p.m. at the intersection of Pullen Road and Hillsborough Street. The floats will continue west toward Dan Allen Drive where it will turn onto campus. All Hillsborough Street merchants will be open for regular business hours and many will be offering food and drink specials. Additionally, PackTV will be broadcasting live from the Porch Party for the first time this year. They will be set up at the corner of Gardner St. and Hillsborough St. The pre-parade coverage kicks off at 5:30 p.m. Watch live on Roku, Apple TV, or GoPack.com. 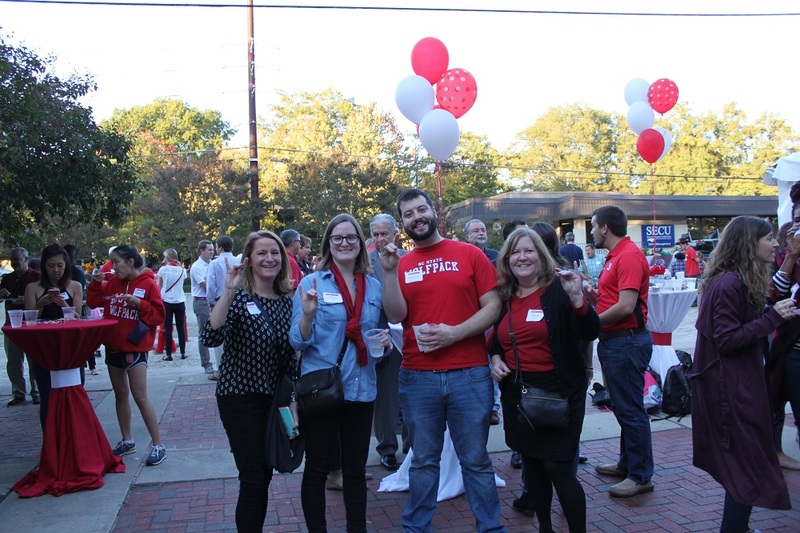 Alumni, students, and staff of six of NC State’s ten colleges will gather on the steps of Nelson Hall for the largest annual parade party. Supporters of Poole College of Management, College of Sciences, College of Humanities and Social Sciences, College of Natural Resources, College of Education, College of Textiles, and NC State Libraries are encouraged to attend. Poole College will be celebrating it’s 25th Anniversary with free BBQ, cake, and refreshments! Live music will be provided by the Poole Pickers, a bluegrass band comprised of faculty and staff from the college. Wolfpack Outfitters will have a store set up inside Nelson Hall and there will be plenty of games for kids. 4:15 p.m. - 7:00 p.m. 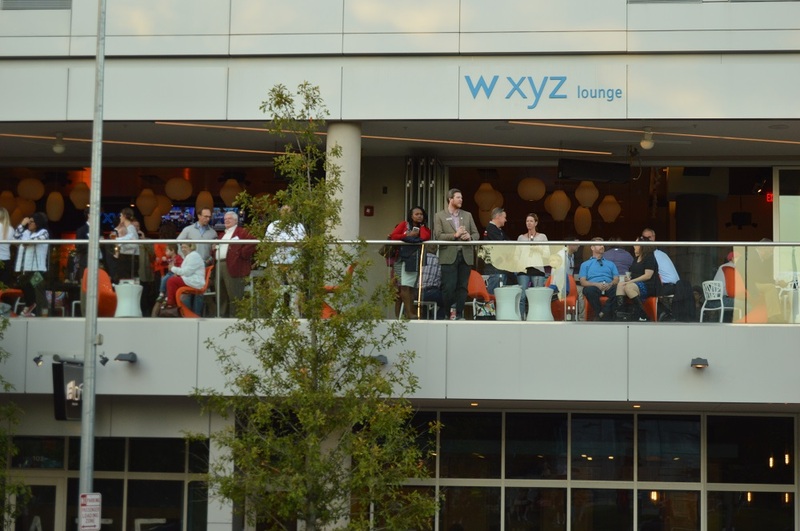 The Staff and Faculty 5:01 Club is teaming with University Recreation to host a party on the balcony of the Aloft, which is the parade’s prime viewing spot across from the Belltower. Former University Recreation student employees, their friends, and family can join the fun, including a tap takeover by Raleigh Brewing Company, DJ’s, and a live broadcast by Wolfbytes Radio. Free subs and other items - bring donations for hurricane relief! Follow them on Instagram for free pizza! Free reusable bags and other items! Register to win a flat screen TV! Follow them on Facebook for free koozies and other items! Follow them on Instagram for free food samples! Register to win a flat screen! Free reusable water bottles, stickers, and coupons to merchants! Follow them on Facebook for free food samples! DON’T PANIC ABOUT PARKING! We can help you with that! 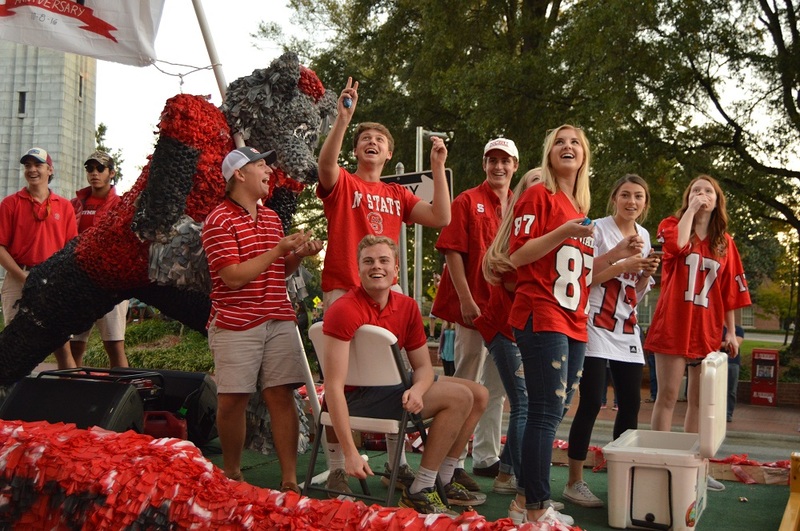 The parade doesn’t start until 6:00 p.m. which basically fixes all of your parking issues because all parking on NC State’s campus is free and open to the public after 5:00 p.m. Monday - Friday and all day Saturday and Sunday. In addition to the free parking there are pay lots available on and around the NC State campus. For more information on parking, click here. If you are still nervous about parking, Raleigh and NC State have some great bus routes that can get you anywhere in the Triangle. View the bus stops on and around Hillsborough Street by clicking here. Use the free Hillsborough Street app to track your bus and parking in real-time: app.hillsboroughstreet.org.